I often get asked about my LUXURIOUS pelt. I glitter, I shine, I look like the love child of a mink and a cashmere sweater. 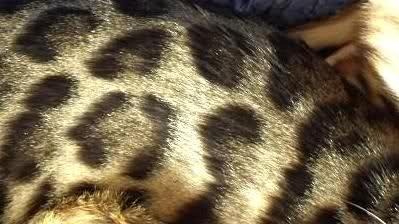 Part of my wonderful pelt is being a Bengal cat. 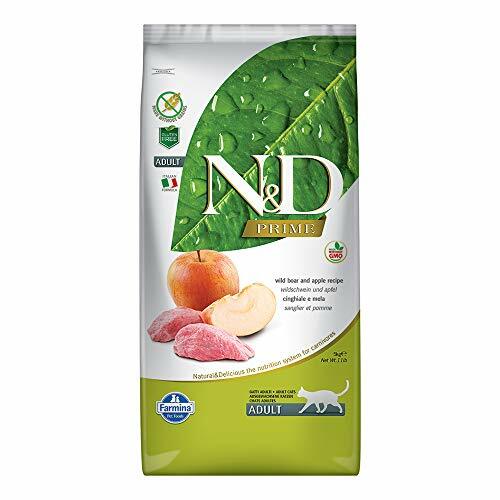 But the other part is the DELICIOUS cat food my mom buys me, N&D grain free cat food by Farmina. Everyone knows Italians can cook – just ask Mario Batali! But not everyone knows that they make the BEST dry cat food ever! I’m kind of a picky eater and I have a sensitive stomach. When my mom brought me home she went to the pet store and asked what would be the best cat kibble for an indoor cat with a sensitive stomach. They gave her about 15 different samples and she tried them out on me. 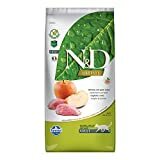 When she opened the bag of N&D fish and orange dry cat food by Farmina, I knocked the sample bag out of her hands and dug in! The N stands for Natural and the D stands for delicious and they are right! I love this food, all of the flavors. And since they are grain free, my mom can switch between the proteins without upsetting my stomach which means I never get bored with my food! I tried 15 different kibbles and this is the one I love! What the video of what my sister Cheddar and I do every time mom opens a bag of Farmina N&D grain free cat food. This yummy dry cat food was developed by the Chair of Animal Nutrition at the University of Naples Federico II who led the Farmina Vet Research group to create a cat food that was different than other grain-free cat foods. Substituting all cereals for animal proteins, the best cat food to feed your cats is made of at least 70% high-quality proteins and 30% vegetables, fruits, vitamins, and minerals. My mom says that since this food doesn’t contain any fillers, we poop less meaning she has to scoop the cat box less! For some reason, she likes that? Our vet says since the food contains no cheap fillers, we eat less! mom feeds us about a cup a day. 2/3 of a cup of cat food for an overweight cat. 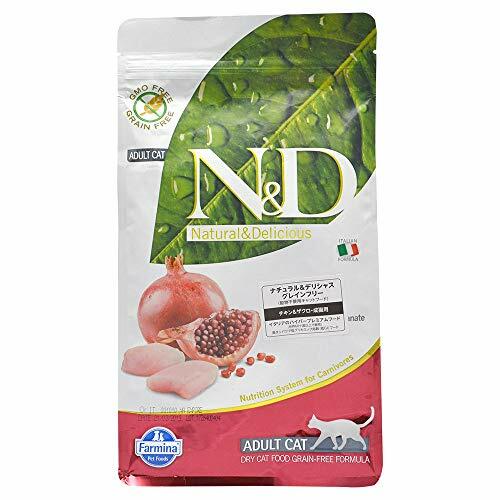 This cat food has is a low glycemic cat food so it’s good for your cat if they have feline diabetes. Buy this cat food and your cat will love it and you, I promise! Want to try it? Here are the 3.3 bag sizes. Mom says its cheaper on Amazon than buying at the feed store and the nice postman brings it so she saves time and gas. The bigger the bag, the bigger the value. My mom buys the 11-pound bags shown below.